The history of the vineyards of New Zealand goes back to 1819, when a French bishop planted the first vines. Only a few centenarian estates exist today. Indeed, the viticultural industry of the country is barely 25 years old. Until 1946, the production was only dedicated to dessert wines. In the 1980s, the New Zealand wines took on an international reputation. 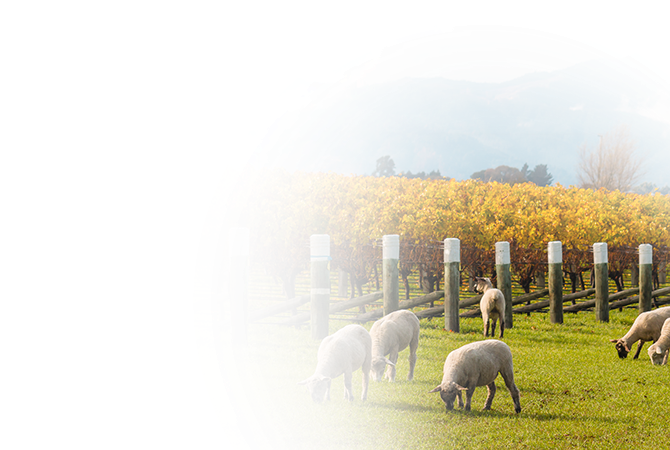 The New Zealand vineyard is always located within a hundred kilometers from the coasts and it benefits from an oceanic climate. There, automn is long and dry. The grape varietals ( Merlot, Cabernet Sauvignon, Sauvignon Blanc and Chardonnay) enjoy a slow ripening allowing them to develop intense flavours.